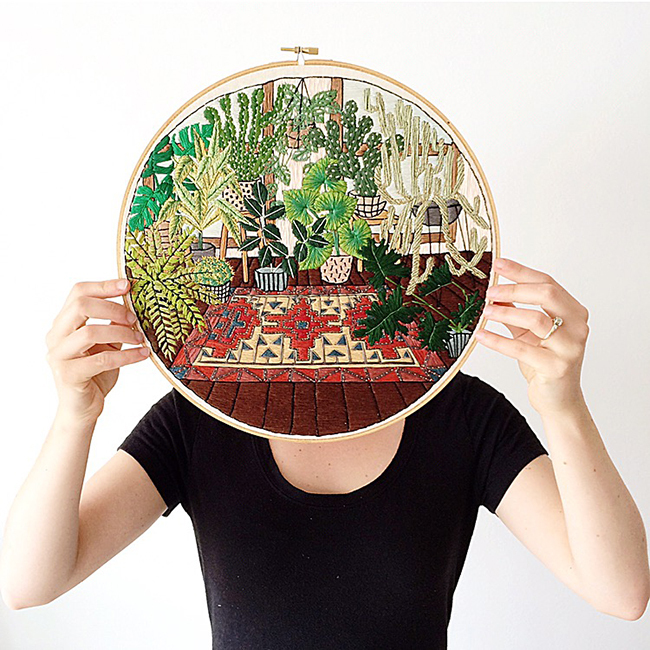 This week we had contemporary embroidery artist Sarah K Benning (@sarahkbenning) take over our Ohh Deer Instagram feed! 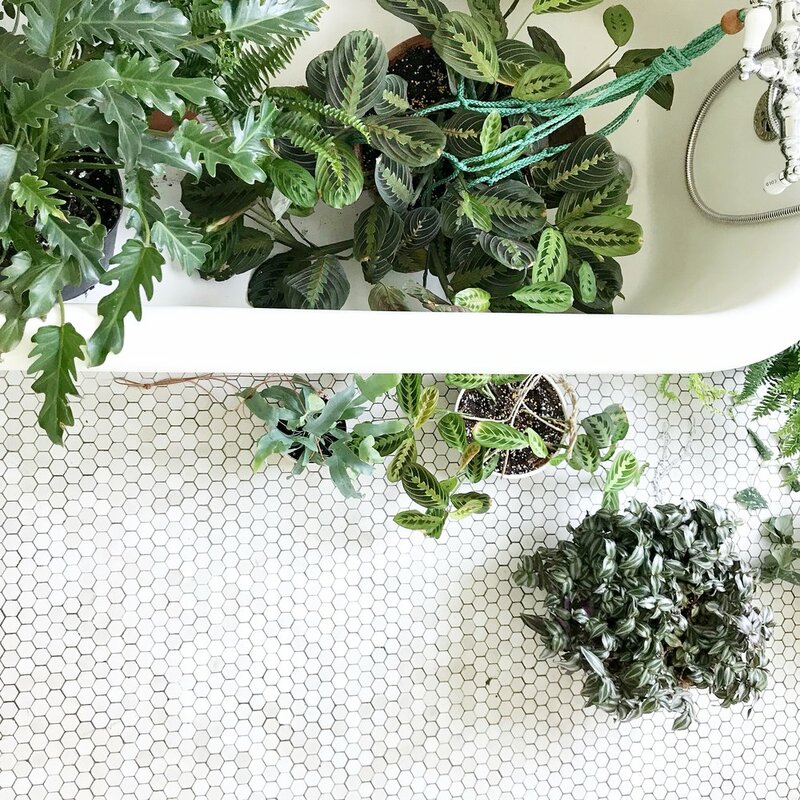 Filled with beautiful stitching and botanical pieces, see what she got up to below in a Day In The Life! @sarahkbenning here to take over the feed today! I am a Contemporary Embroidery Artist newly based in New Hampshire. I create one of a kind home decor pieces of hand embroidery, write monthly #skbdiy patterns, and collaborate with small businesses all over the world to offer in person workshops. I hope you’ll keep up with the posts today, but you can always get the full scoop at sarahkbenning.com! Waking Up: Ever since I quit my ‘day job’ 3.5 years ago to pursue my embroidery business/studio practice I avoid alarm clocks like the plague, preferring to wake up with the sun. Luckily my home/studio space gets nice and bright first thing in the morning. Since I work from home and for myself, I have the luxury of setting my own schedule. My mornings are pretty slow—making coffee and a breakfast smoothie (like every good millennial, it’s chock full of kale). I then scroll through my Instagram feed before I settle into work. In the Morning: As a one woman show, I am responsible for all aspects of my business. I am the designer, manufacturer (hello one person sweat shop - all of my embroideries are 100% hand stitched), web tech, social media manager, strategist, customer service specialist, packing + shipping department, etc. The list goes on and on. This week I received a huge order of @dmc_embroidery floss that needs to be processed and inventoried. While I will use some of this thread in the studio, most of it is bound for workshops where I will share all my tips and tricks and materials with participants. Work Time: My embroidery practice falls in the non-traditional category, meaning I have abandoned the many rules of needle work + stitching to emphasize mark making, composition, drawing, and color to create updated imagery in this centuries old medium. The versatility of thread is limitless and I love to experiment with new textures and surfaces and combinations. There is plenty of time to consider my choices since even my smallest pieces take several hours to complete. Break Time: No two days in the studio are the same. I try to find a balance between creative work, administrative work, and housework - not to mention family + friends time! 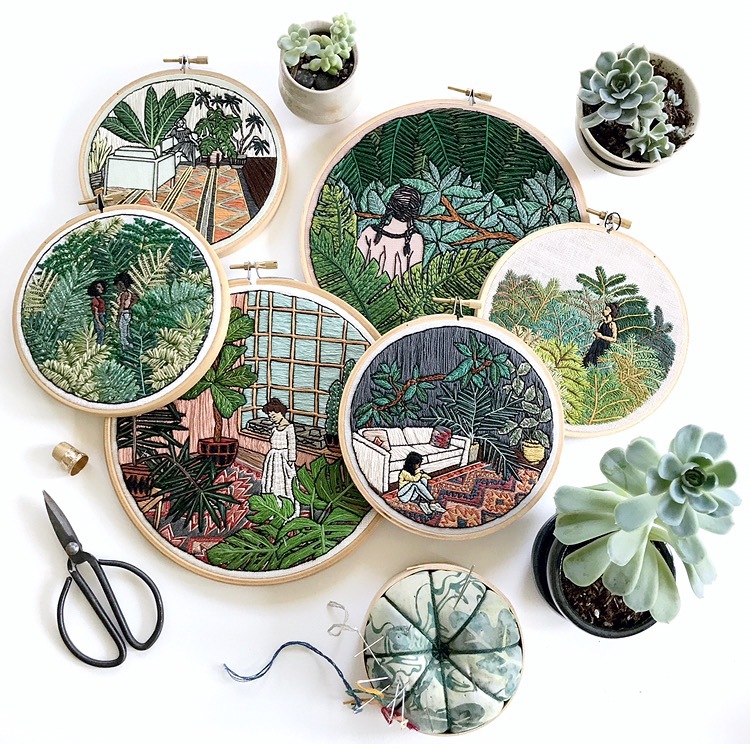 So much of my embroidery is heavily inspired by my own potted houseplant collection that when I need a break from the studio I take some time to tend the plants. I have around 70 in the house right now, so there is always something to keep me busy! (Plus so many more! I could go on forever! But I won’t) Thanks so much for tuning in! Follow Sarah on Instragram @sarahkbenning or check out her website for more information at sarahkbenning.com!